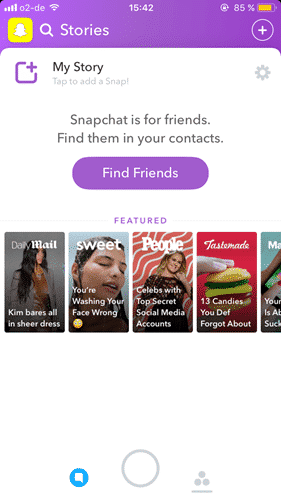 There is always a hot new app on the Internet for teenagers, and for quite some time, that app has been Snapchat (and their Snapchat spectacles). Although its concept has evolved over time, its underlying use is to send photos to people, which are only accessible for a short period of time. Then they are (supposedly) deleted from the servers. This has inevitably led to scandals such as teen “sexting” (with all the consequences that go with that). So now one of the biggest search phrases online is “delete your Snapchat account“. 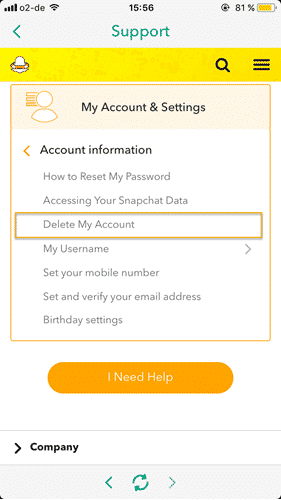 Unlike many similar companies in its industry, Snapchat makes it relatively easy to delete an account. You just have to know where to look. However, it isn’t truly deleted until after 30 days. During the first 30 days, it is merely deactivated, in case you change your mind. I’ve been a bad boy, sending naughty pictures to people, and now my parents want my Snapchat account deleted. Since I am an obedient son, here is how to do it. You need to be on the camera screen first before anything else can happen. When you open the Snapchat app, it starts on your camera screen by default. 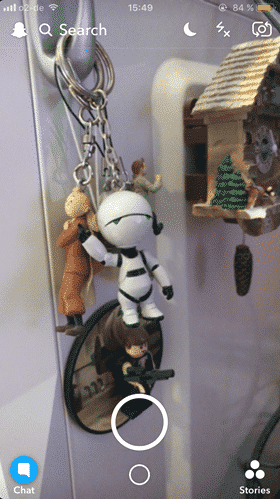 However, if you are on another screen (such as “Chat” or “Stories”), you can directly jump to the camera screen by tapping the big grey circle at the bottom. Place your finger on the middle of the screen, and swipe downwards once. This brings up options, as you can see above. Click the gear icon in the top right hand corner. On my screen, it’s a red gear. But it may be different on yours. Clicking the gear icon brings up all of your account settings. Scroll down the list until you reach “MORE INFORMATION“. 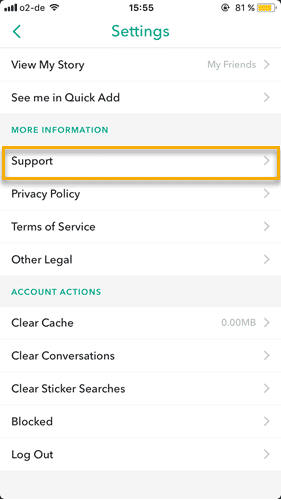 Then tap on the “Support” option. 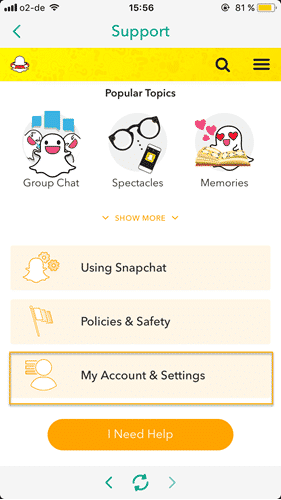 This takes you into the help pages for all things Snapchat. As you can see, the company is really making you work to find that account deletion link. 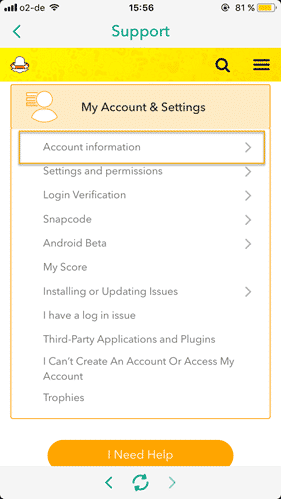 On the next screen that appears, choose “My Account & Settings“. Before you do though, admire the pretty pictures of smiling and happy ghosts. Now tap on “Account Information”. 6. Can You Guess Which One Should Be Chosen Next? I’ve even highlighted it for you. Tap on that. I’ll wait. OK, after all that tapping, we are FINALLY at the page to delete your account. Read everything on the page to make sure you understand what you are doing. As I mentioned previously, for the first 30 days, the account is merely deactivated, in case you change your mind. If you do, you can sign back in and your account will be waiting for you, contacts and all. 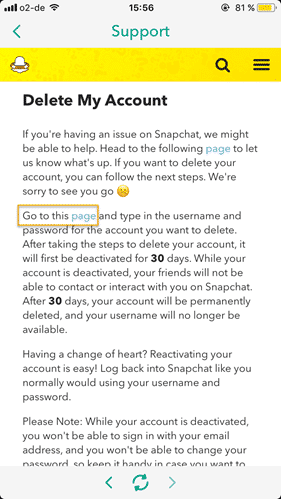 During the 30 days deactivation period, your contacts will NOT be able to contact you through Snapchat. 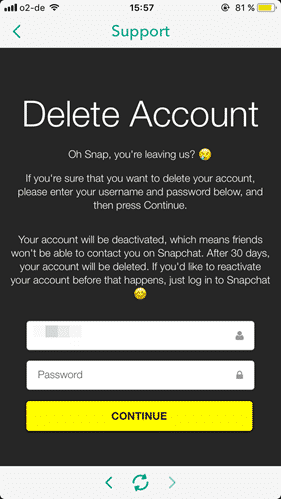 However, after the 30 days are over, it’s “bye bye Snapchat account” time, and there are no do-overs. You will also lose that sweeeeet username you’ve treasured for so long (coolhipsterchick4ever), and it will be made available to someone else. When you are sure. click on the “page” link highlighted in the screenshot above. 8. 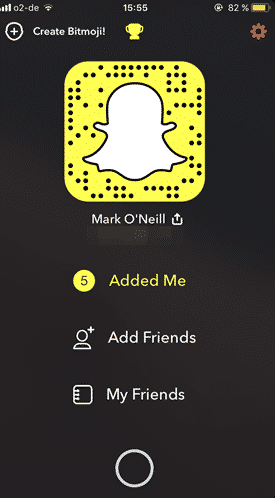 This Is The End…..
Snapchat now appropriately sets the mood. Black screen, sad emojis, Mozart’s “Funeral March” music…..OK, not Mozart, but you get the point. If you have absolutely resolved to stop using Snapchat, and graduate to something more mature – like Facebook Messenger – then enter your username and password in the boxes provided. Then tap “CONTINUE“. On the next screen, it will ask you if you are sure, and if you are, confirm it on the screen. At this point, the account is hereby deactivated. Now put on your black armband you heartless beast! Companies like Snapchat rely on its huge userbase to tout its superiority over its competitors. So it makes sense from a business point of view not to make it too obvious how to delete an account. But if you need to delete an account, either because of a faux-pas like sexting, or because of cyber-bullying, then you HAVE to know how to do it.